7 Reasons to Send Flowers Online Today! Flowers express your emotions and best wishes in the best way possible. The times when you fumble for the words or feel that the words can’t do justice to your heartfelt emotions and feelings, flowers come to the rescue and let you have your way to your special someone’s heart in the easiest manner possible! Flowers can help you express your best wishes, and love which words fail to express. The times when you have to express your condolences and you really don’t know what to say, even then flowers come to your rescue. Be it happiness, sadness or the times when you would like to make even the routine of the moment special, flowers come handy. These freshest and finest of the flowers are the reason to look forward to your special occasion. Thanks to the digital technology, like your food and bill payments, flower industry is online too! You can order flowers and cakes online from the comfort of your home and office, either from laptop or mobile. The perks of online flower delivery by Gurgaon City Florist don’t just stop here! Read on to know what you are in for when your order flowers online! When you order flowers with the leading flower website, City Florist, you have an endless assortment of flowers at your fingertips. Moreover, the website categorizes flowers on the basis of occasions, budget and flower types. If you aren’t sure about the choice of the recipient or which flowers will go with the ceremony, don’t fret! Because you have a wide assortment of flowers waiting at your fingertips that is segregated for your convenience. You don’t have to be a walking encyclopedia on flowers because the expert florists have already done that for you! Browse through and order your favorite flowers within a few clicks. Doorsteps delivery: One of the best parts of ordering flowers online is to get doorsteps delivery across India! Regardless of where you are based and what postal code your loved ones are residing at, you can order flowers online for your family, relatives and well-wishers on their special occasions. If you can’t make it to their special occasions, don’t fret it over and book flowers online for them! Thanks to the strong logistics channels deployed by Local City Flowers, spot-on delivery is the forte of the team. Giving you the flowers as and when and right where you want! Ice Vans and Personalized Hand Delivery: Local City Flowers deploys state-of-the-art ice vans to ensure pristine delivery of your gift packages. Whether you have ordered from the assortment of cakes online or your choice is the fresh flower bouquet, the delivery is always made by the experienced staff and is always a hand delivery. This means that you not only order the finest and freshest of the blooms or cakes, you get them in the best shape as well. Ice vans keep them in tact during the transition and against the odds of weather. Flexible Payment Methods: Even in this time of demonetization and cash crunch, don’t let anything stop you from surprising your loved ones and give them the surprise of their life time. Avail flexible payment methods introduced by Local City Flowers to order flowers or cakes online. You can still make every moment special and special moments, all the way more special! You can choose to make payment via debit card, credit card or net banking. The site is secured and utilizes SSL encryption to safeguard you potential security threats such as data tampering, forgery and hacking. Flexible Delivery Modes: What’s the point of online flower delivery when you don’t have a say in the delivery schedules? So, to let you have the freedom of deciding the delivery, here are the three flexible delivery modes to choose from! Standard Delivery is the routine delivery mode that lets you schedule the delivery after the next 24 hour of placing the order. Same Day Delivery lets you arrange the delivery on the same day of your order. It is the perfect option for people who tend to forget or are looking for last-minute gift option. You should also go for it if you want to give a pleasant surprise to your loved ones in the real time. Similarly, for birthdays and anniversaries when you just can’t seem to wait for another day to happen and want to surprise them with a gorgeous flower arrangement or beautiful gift, go for Midnight Delivery Mode. Midnight Delivery schedules your gift package for sharp at 12am in the midnight! One-Stop Destination: Not just flowers and cakes online, the online flower shop is the one-stop destination to the gifts online as well. If you are looking for customized and personalized gifts online for Diwali, Eid, Christmas and New Year, just check out the wide assortment! Just a few clicks and you can order gifts online that are at part both in terms of quality and choice! Along with that, you get doorsteps delivery and the same perks you get to avail and enjoy when you shop flowers online. Corporate Flower Delivery: Corporate houses these days are leaving no stone unturned to make their employees feel special, value and motivated. Apart from the activities organized by the HR, one of the ideas deployed by them is corporate flower delivery on the birthdays and anniversaries of their employees. This small gesture helps the team to stay motivated and make them feel connected with the office and its vision. Apart from this, you can also avail the services of expert team for office plantscaping and monthly flower delivery for the reception, events, boardroom meetings and business associates. These services come with the perks like free shipping option and exclusive ‘value- for- money’ deals! So, don’t wait and be the reason someone smiles today! With endless assortment, doorsteps delivery, pocket-friendly prices and gift packages, it is easier than ever to complement the special occasion and surprise your loved ones without breaking your budget! We all love giving flowers. No matter if there is a special occasion, or you just want to make a good first-date impression, flowers are the classic way to show some respect and attraction to the person in front of you. Since ages, giving flowers to a woman is believed to be a sign of a gallantry and gentlemanliness. However, no matter if you want to add some holiday atmosphere to the business party at your office or you want to confess your feelings to the woman of your heart, never give a single flower if you are not aware of its exact meaning. If you are about to go on a date, for instance and you want to impress your lady with a really fascinating bouquet, there are some rules that you need to follow. Otherwise, you can get into really embarrassing situation and not always people are willing to hear your further explanations. Festivals of the flowers are a timeless colourful celebration and a day, full of sweet fragrance and a touch of spring. Most Flower Festivals are during the spring, when they become a part of greeting the spring in an euphoric and cheerful way. Featuring freshness, diversity and splendour, Flower Festivals always manage to capture every heart in the cheerful rhythm of the march. Colours, aromas and sounds spread along the streets of the city just like a magic blanket, and stimulate all senses, filling our soul with euphoria and joy. This feeling can not be described. 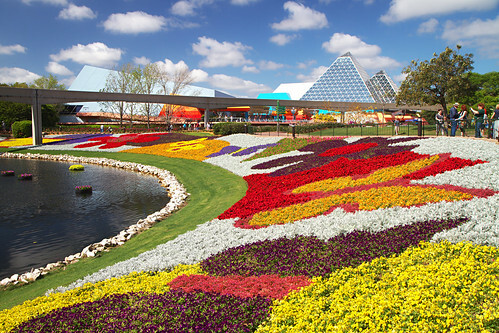 Check now the most famous Flower Festivals around the world. Every year in early spring there is the traditional Flower Festival in Belgium and the Netherlands. These festivals usually follow a certain route, theme and even a script. The largest outdoor flower garden in the world – Keukenhof, is located in the Dutch town Lisse. The garden is open only in the spring when tulips bloom and becomes part of the 40-mile route of the annual Flower Festival in this part of the country. Roses are one of the beautiful creations of God on earth. Rose is important romantic gift in human relations. Roses are a beautiful and versatile flower, and they come in many vivid, and pastel colorings. Roses inspired people over thousands of years to develop a language of color. You can use magnificent, colorful flowers for the wedding decorations, birthdays, funerals, or party decorations. There is a rose color meaning for each different color. Learn the hidden rose colors and meanings for knowing what to give on that special occasion. Get discount on few products – go to Deals under specialities and get 15% discount on selected products Use “pul015” coupon codes for that special category. Latest coupon code opened for our valuable customers – Use “PUL005” without quotes and get 5% additional discount on all products. Enjoy and grab this offer today. Flowers are one of the most common and most beautiful things present in this world. Varying in sizes, shapes, species and also their variety of shades and colours, flowers are loved universally. Flowers are basically found in angiosperm plants and play a role in reproduction in plants which give rise to fruits and seeds. Flowers are not only the producers of fruits and seeds, but they also play an important role in religion and medicine. They are used for offerings, decorations, perfumes, romance and also as food. Apart from this flower also have astrological and symbolic meanings. Flowers also refer to femininity and in various artworks they represent the female genitalia. Flowers have a significant value in Hindu mythology. Lord Vishnu holds the lotus. Brahma, the creator, Goddess Lakshmi and Saraswati are found sitting on lotus flowers. Ancient literature of India talks about various flowers in the names which are not common today. The Ashoka flower has been talked about in the Ramayana. Sita used to sit under the Ashoka tree in Ravana’s garden when he had abducted her. The Arca flower is offered to Lord Shiva. It forms one of the five darts with which the Indian God of Love pierces the hearts of young mortals. Parijat flower tree is supposed to be brought down to the earth from heaven by Lord Krishna. Kadamb tree forest is the forest where Lord Krishna played and Goddess Durga resided. There are many other flowers which have been mentioned repeatedly in the ancient Indian literature. The Valley of Flowers National Park is encompassed in the Nanda Devi Biosphere Reserve in Uttarakhand. It is a high-altitude Himalayan valley with many different coloured flower which change shades as time progresses. It is also a home to exotic and rare flowers like Brahmakamal, Cobra Lily and Blue Poppy. It has a large number of rare species of flora and fauna. Orchids, marigold, poppies and many other flowers carpet the ground. Local people believe that it inhabits fairies. The Valley of flowers is truly a heaven. Floriography, i.e., the language of flowers was a method used to send coded messages and also express feelings which could not be spoken. This usually prevailed in the Victorian era, but is still used for romantic expressions. This was done through a variety of flowers and flower arrangements which had different meanings. But nowadays people assign personal meanings to flowers according to their liking. The Society of American Florists has also made a list of flowers with their meanings. Red roses are a symbol of love, daisies of innocence, Irises and lilies are meant for resurrection and life and poppies are used for consolation. Aster means contentment. Camellia means graciousness. Daffodils symbolises chivalry while daisies show innocence. If you want someone to remember you forever give him/her a Forget-me-not. You’ve been gifted a yellow chrysanthemum? That means you have a secret admirer. Gift a pink carnation to show gratitude. White Tulip will help you ask for forgiveness. Every month is dedicated to a flower. You can gift them according to the month or decorate these beautiful flowers in your own houses and offices month wise. Carnation is for January, Iris for February, Daffodils for March and Daisies for April. May is the month of lilies. June has always been for roses. Delphinium is the flower of July. Gladiola is for August. September has Aster as its flower. October is assigned Marigold. November is for Chrysanthemum and December for Poinsettia. Aries- Aries enthusiasm and zeal can be lifted with flowers with the colour of passion like a red tulip flower bouquet. Taurus- Taurus’s appreciation for nature’s exquisite beauty can be fulfilled with a Pune flower bouquet showcasing majestic lilies. Gemini- Gemini needs with a flower bouquet filled with roses – a flower that symbolizes the essence of their zodiac sign: love and companionship. Cancer- Appreciate a Cancerian’s compassion and thoughtfulness with a flower arrangement filled with delphinium. Leo- Choosing Sunflower as floral arrangement for Leos that matches this fire sign’s big hearted personality is wonderful. Virgo- Asters will incite a Virgo’s imagination and coax their fun-loving side. Libra- Hydrangeas are a fitting choice for Libras. Scorpio- Scorpio’s sensitivity and power can be complimented with a floral bouquet of lush red peonies. Sagittarius- A Sagittarian’s multi-dimensional personality can be captured with carnations. Capricorn- Capricorn’s responsible, dependable personality makes them ideal for African violets. Aquarius- Orchids are a perfect complement to the Aquarians. Pieces- Alstroemeria’s appearance captures just the right mix of generous beauty and quiet splendour of Pieces. Flowers have long been used in manufacturing perfumes because of their sweet fragrance. Many different species of flowers like rose, jasmine, tuberose, narcissus, plumeria and many other flowers are used for making scented beauty products, bath soaps and perfumes. India is known for many attractive qualities it assets. One of the most notable assets the country has is flowers. India is a land with a wide variety of flowers of beautiful shapes and sizes. Flowers are a gift of nature to the country and the Indians play a great role in protecting the gift. Flowers can attract anyone with its beauty and charm and can bring a smile to anyone’s face. India and Specially Gurgaon florist by Buds n Bloom and through out NCR as well as citizens of India always has a great love and inclination towards flowers. Flowers too have a great role to play in the Indians life. India witnesses many festivals around the year. Each state of the country has their own festivals and most of the festivals are incomplete without flowers. Each festival has its own beauty and style. Among these festivals, many festivals include possessions of different types. These possessions are made attractive and this is done by decorating the vehicle carrying the possession, with flowers. The entire venue, where the particular festival is taking place is decorated using flowers of different colours. Indian weddings are great examples to quote the Indian love for flowers. Indian weddings are grand and they are made yet more grand and elegant by using flowers to decorate the venue. Even the bride is beautified by decorating her hair with long strands of flowers. Usually white or red coloured flowers are used to decorate the bride’s hair.